Swiss automotive think tank Rinspeed is returning to the Consumer Electronics Show next year with a concept that demonstrates a possible future where the chassis and body of a car can go their separate ways. The result is that cars, or at least their bodies, could also offer meaningful immobile use. Rinspeed’s Snap concept, which will debut at next month’s 2018 CES, exists in a world where instead of owning a complete car an individual could simply own the body. This body could then double as a small office, lounge or even a place to sleep. 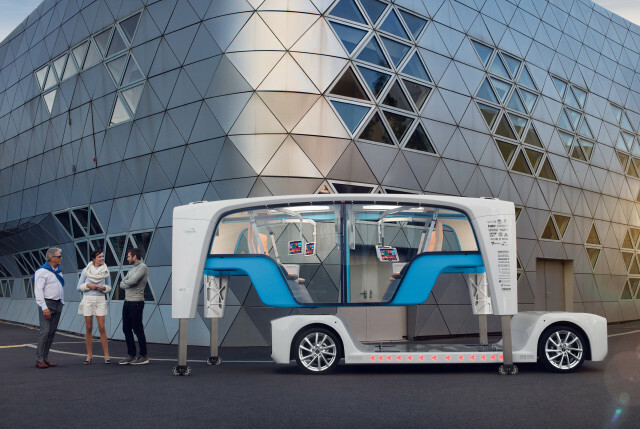 A trip across town would require a request to a self-driving chassis which would connect with the body and then transport it to the owner’s destination. The body has its own tiny set of wheels which it uses to maneuver itself on and off the chassis. With such a system, we could imagine selecting a sporty or off-road-capable chassis for the weekend and something efficient for the weekly commute. There are benefits to the environment, too. Instead of having to scrap the whole car once the mechanicals get worn out or become obsolete, in the case of the Snap only the chassis would need to be scrapped. Or better yet, the chassis could be refurbished and enhanced with the latest technologies. Meanwhile, the body could remain in use potentially for decades. Rinspeed is constantly trying to predict the automotive landscape of the future. In recent years the company has bet big on self-driving technology, and concepts like the Oasis, XchangE, Budii and Etos have been the result. As you may have already surmised, Rinspeed’s concepts aren’t intended for production. Instead, they are developed in partnership with automotive suppliers which use them as promotional tools for future products and technologies. 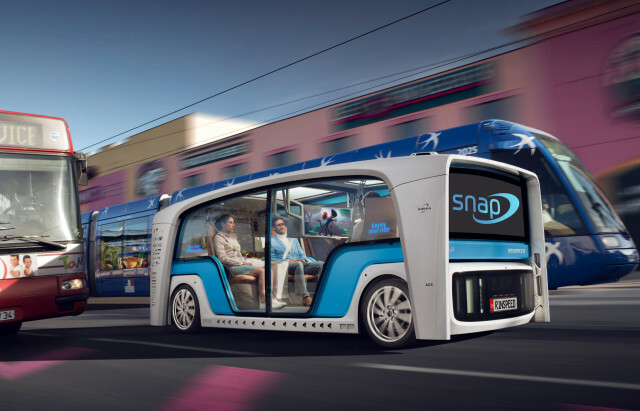 For example, on the Snap concept the electric powertrain is supplied by ZF. This is attached to a set of 18-inch alloy wheels from Borbet. 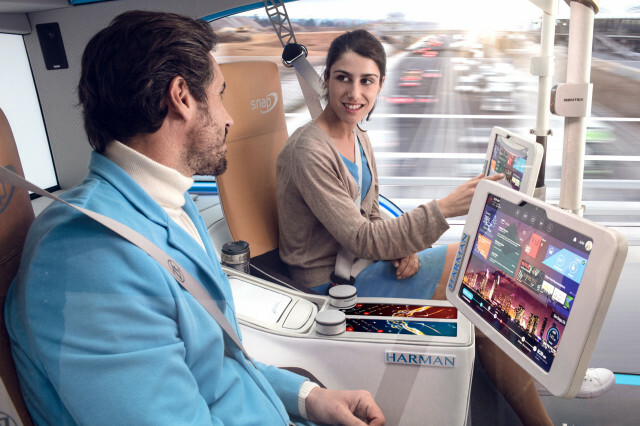 Meanwhile, all adhesive bonds used in the concept come from Sika Automotive, while many of the infotainment systems come from Hamann. Also in the Snap is a powerful AI system that not only can drive at true Level 5 self-driving capability, but can also turn the concept into your own personal assistant. Thus, with some simple commands, you could get the Snap to pick up your children from school or deliver a package across town. The Rinspeed Snap concept makes its world debut at the 2018 CES which runs from January 7-12. For more of our coverage on the show, head to our dedicated hub.